Tight margins and tough competition continue to define the petrol industry. The key to gaining the competitive edge? An advanced payment strategy that keeps operating costs down while giving you the ability to engage your customer with fast, flexible transactions, 24/7. 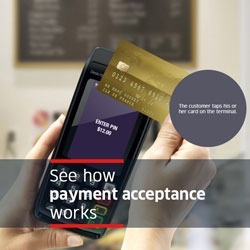 Ingenico can help you to achieve this and more. 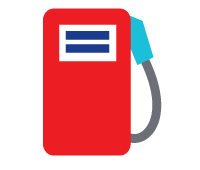 Learn why leading brands across the petrol industry choose us for their payment strategy. Grow profit margins with an effective strategy. We’ve designed our payment solutions to help you keep costs down. The ability to aggregate payment transactions means lower acquisition costs, while implementing a single payment infrastructure for in store and pay at pump cuts the costs associated with maintaining two separate solutions. Keeping compliance and maintenance costs down adds up to healthier profit margins for you. Fast, easy payment. That’s what your customers expect and that’s why we empower you to deliver. From cashless to contactless, our solutions enable you to accept any electronic payment method your customers choose, both at the pump and in store. With payment made easy, you can keep queues down, make customer visits quicker, and ensure that their experience of your business is a positive one – whether their visit is midnight or midday. Differentiate your offering with a customer loyalty scheme. There’s no doubt that differentiation is a challenge; that’s why providing your customers with discounts and personalised offers is a powerful way to add value and drive engagement with your brand. Because we understand how important your customer retention is, our payment solutions are designed to integrate with your loyalty programme and to accept private petrol cards. So you can maximise customer retention. Security matters: Protect your business with PCI-compliant solutions from Ingenico. Our payment solutions are designed to go beyond the basic requirements, keeping you ahead of the curve, while reporting and fraud management tools help you to manage risk. Safety first: With unattended payment terminals from Ingenico. Our pump-side modules are purpose-built to meet ATEX regulations, making them robust enough to be suitable for use in potentially explosive environments. Keep control: With remote estate management solutions. The Ingenico iSelf series enables you to easily monitor and optimise operating costs and pump availability in real-time, from a single central location. End-to-end solution: Ingenico is the only payment provider to offer a complete solution, covering everything from service, customisation and distribution, all the way through to on-going support. So you can rest assured that the support you need is in place. Discover how you can cut costs, increase margins and drive customer engagement.